For the love of the scone! 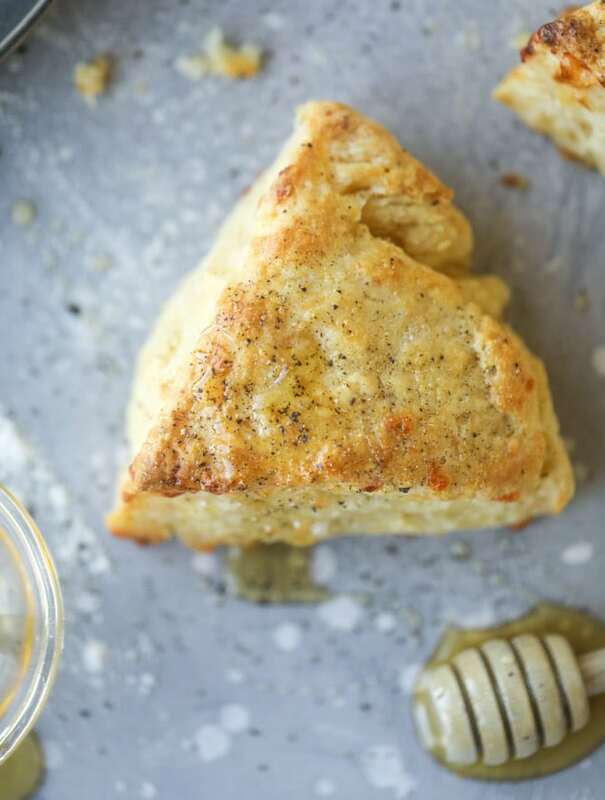 These cheddar scones with honey and black pepper are little triangles of heaven. And you know. When I think about writing something such as “who doesn’t love a scone? !,” I have to hesitate. Because in my life, there are many people who do not love a scone. Eddie. My mom. Probably my dad. Definitely one of my brothers. The list goes on. And I literally write this in EVERY post about scones, but even my own scone memory is horrible because the first time I tasted them was elementary school, on Saint Patricks Day when a parent brought in a classic version. And they had raisins. Which I sort of believe shouldn’t even exist. Like why do we have to go and ruin grapes that way? Said scones were also rock hard and dry. I was very much NOT into them. Really. Could I be any more of a broken record? 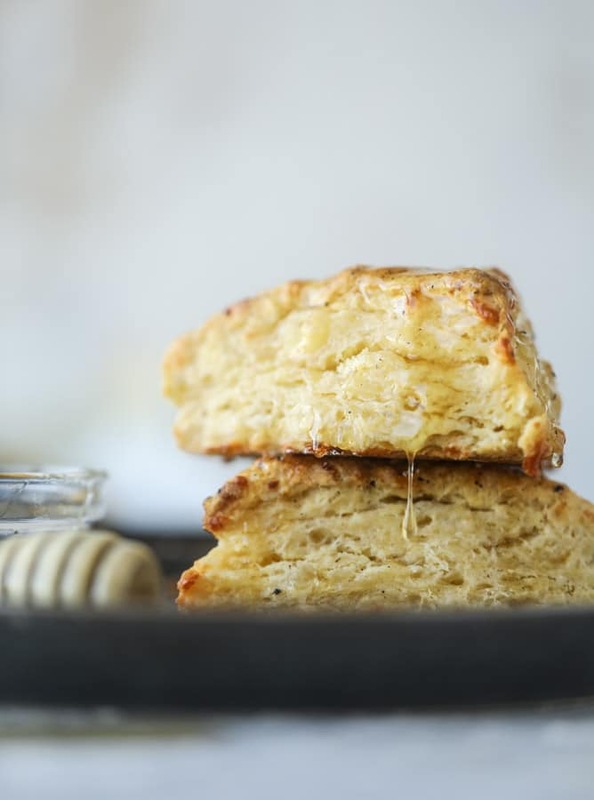 So even though I adore this amazing old-school recipe that is a master base for an excellent scone, I’m always looking for a delicious combo that will turn the scone-haters in my life into lovers. Because if it happened for me, it can happen for them too. I mean, look at these flakey, buttery layers in the dough! This is a super classic. A mix of sweet and savory. Rarely am I a fan of black pepper, but when it’s combined with cheddar in a scone or a biscuit, I freak. It’s SO good. It’s so savory and provides a sharp bite towards the end. Just delish. And this flavor of scone is the best because it looks like NOTHING. Right? It looks sort of bland and just, like, not a big deal at all. And then you take a bite and you’re like whaaaaat. This rounds out all of the Saint Patrick’s Day recipes for 2017, so I hope you have something delicious on deck for tomorrow! I mean, even if you don’t want to celebrate… Baileys. Just think of all the Baileys. In large bowl combine the flour, salt, pepper, baking powder and soda. Using your fingers, a fork or a pastry blender, cut in butter until it forms coarse crumbs. Stir in the grated cheddar cheese. Stir in the buttermilk and honey. 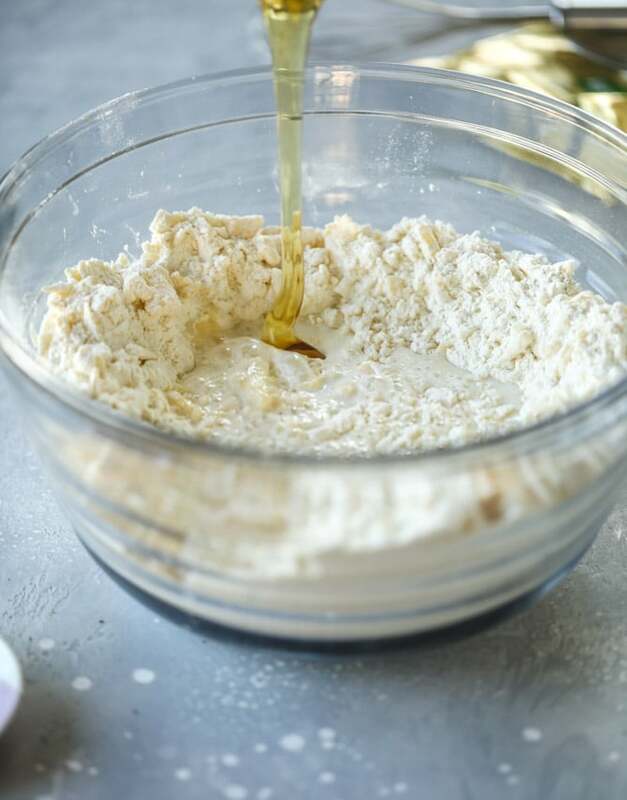 Stir with a spoon until a dough forms, using your hands to bring it together. Turn onto a lightly floured surface and knead gently. 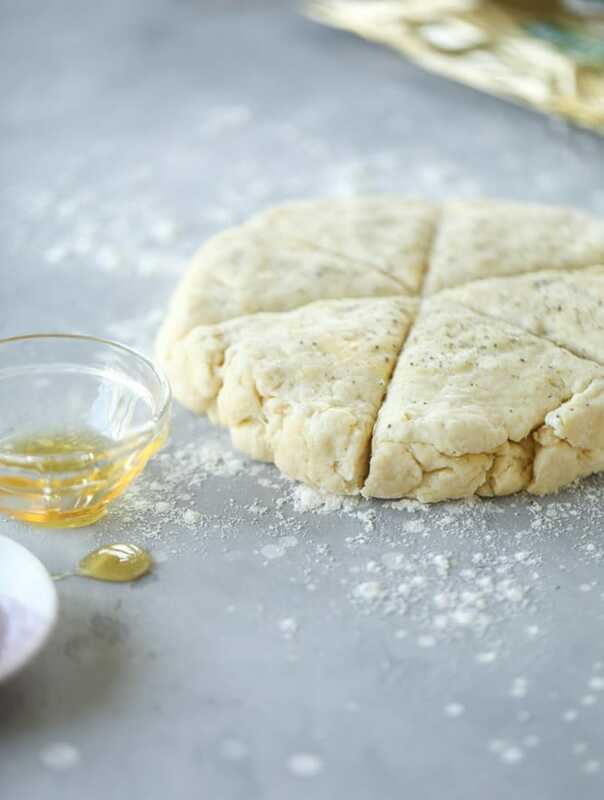 Divide the dough in half or in thirds and pat each into 5-inch round circles. 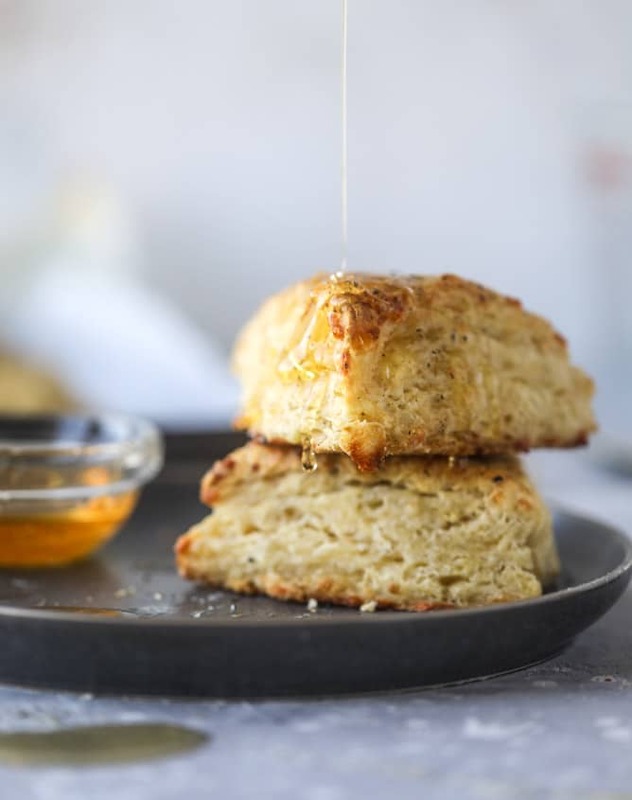 Brush each scone with melted butter and top another crack of black pepper. Place each round on the baking sheet. Cut each round into 4 or 6 slices, or use a biscuit cutter to make rounds. Bake the scones for 12 to 14 minutes, until the tops are slightly golden. 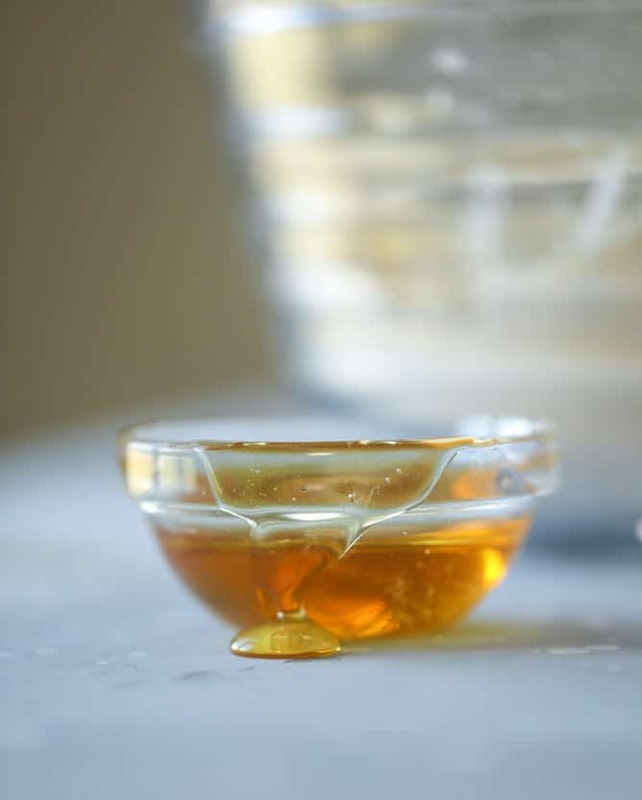 Drizzle with honey if desired. Serve immediately. Dying for a bite of that. Scrumptious sweet/savory scone. Alliteration task for the day complete. We love your scone recipe so much! Can’t wait to try these ones. Small error: grayed —> grated. Can’t wait to make these! These look great! I just made a bacon cheddar scone yesterday for all my work friends! Love them! I’m usually the person who comments on a recipe post years after it’s been posted, but I happened to have all the ingredients and dinner plans where this made total sense. These are like a biscuit scone or a scone biscuit. I did need to add a few more tablespoons of buttermilk to have the dough hold together, thanks to the low humidity of a cold March. It was not hard to make and the results are definitely worth it. Love the flavor combination. soooooooooo with you on the raisins! Dead. These were freakin delicious! I love the combination of pepper, honey and cheddar. 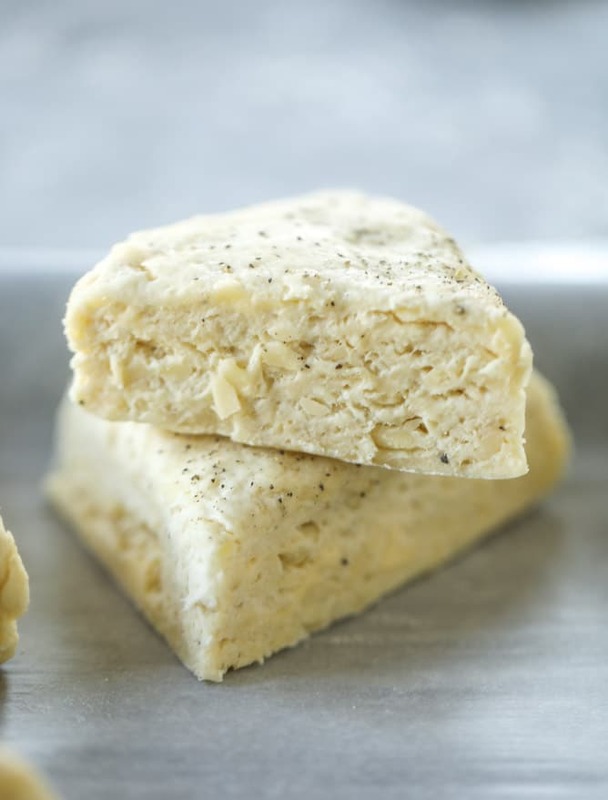 I have to try these… I wonder, though, how these would turn out with gluten-free flour. I am about to make it. You say nothing about pan or parchment paper or? 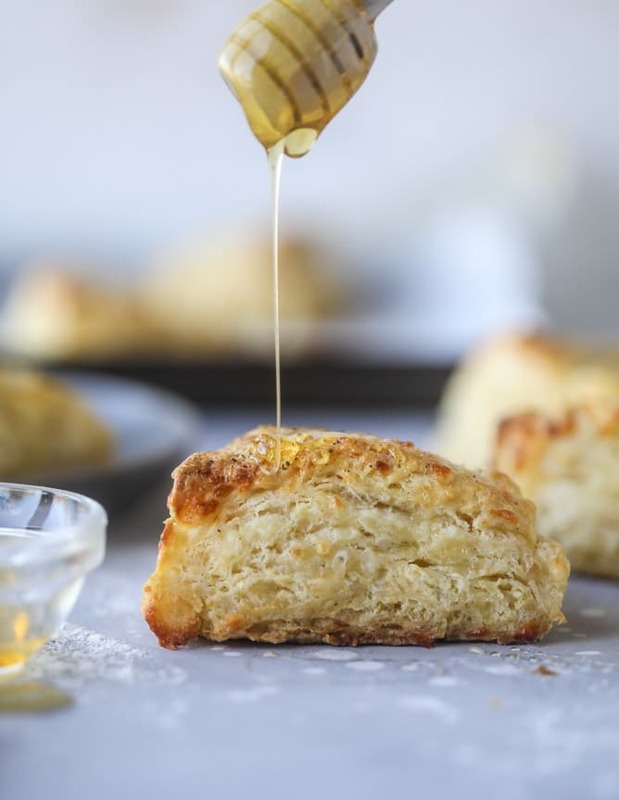 I really love scones, so i’ll have to try this one….a trick i learned on someone’s blog is to stick the butter in the freezer for a bit, then use a grater, like with the cheese! I do this all the time now for things that require cutting in butter. I made these on Sunday and shared with my neighbrous and colleagues. They were super easy to make and so tasty! The flavours blend so well together. 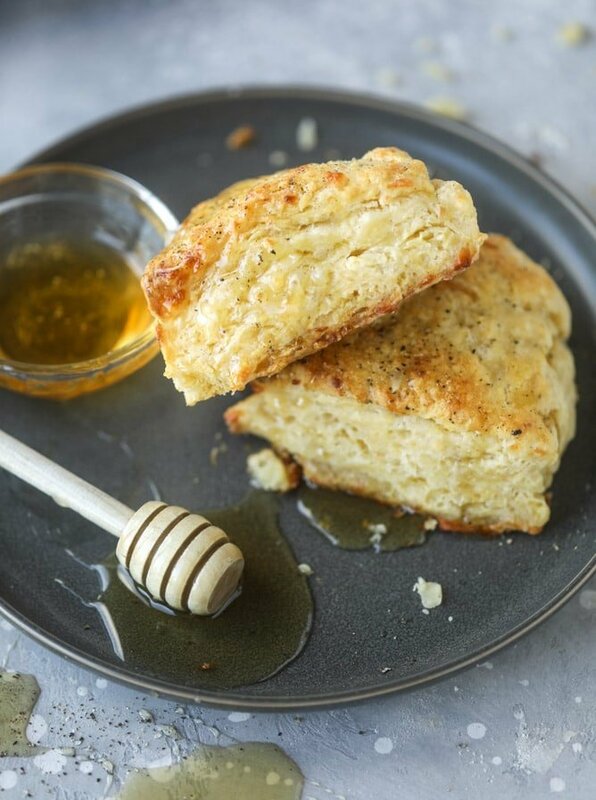 I love scones and this recipe has made it to the top of the list. I already have a request to make them again for an upcoming cottage weekend. Making these for the royal wedding! I cannot WAIT to try these! I am so with you on the raisins…WHY do they have to always mess up a perfectly good thing?